On February 11, 1962, a new sanctuary was dedicated at Covenant OPC, Vineland, New Jersey. Before the nearly 500 individuals present at the dedication worship service, the Rev. John Murray preached on "God's Presence in the Sanctuary." Afterwards, a fellowship meal was held in the downstairs fellowship hall which seated 250 people. Under the pastoral ministry of the Rev. Everett DeVelde, the 300 member congregation had outgrown its previous meeting place and initiated a $200,000 building program. Half the cost was paid in cash and the other half through a mortgage that would be paid off in 1979. 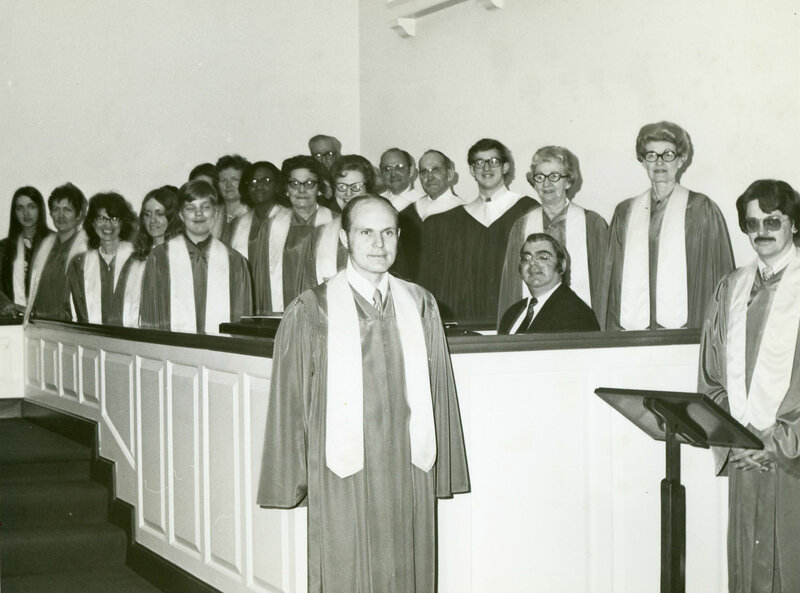 Picture: Members of the Covenant Church choir in the new sanctuary in the early 1970s.